According to Deadline, Freeform is in the process of developing Joyland, a new series adaptation based on acclaimed author Stephen King’s mystery novel of the same name. Chris Peña (Jane the Virgin) and Cyrus Nowrasteh (The Stoning of Soraya M.) are set to co-write the show’s pilot script. Joyland is set in 1973 which follows the story of a college student named Devin Jones who takes on a summer job at Joyland, an amusement park in North Carolina. As Devin continues to work at the park, he must confront the legacy of a vicious murder, the fate of a dying child and the way both will change his life forever. The series will be executive produced by Bill Haber (CW’s Beauty and the Beast) through his Ostar Productions banner along with Peña and Nowrasteh also serving as producers. Many of Stephen King’s books are currently being adapted into features films and TV series such as: Castle Rock which renewed for a second season at Hulu; Pet Sematary which will premiere next year in April 2019; the Shining sequel Doctor Sleep starring Ewan McGregor and Rebecca Ferguson; James Wan’s The Tommyknockers; and The Boogeyman. 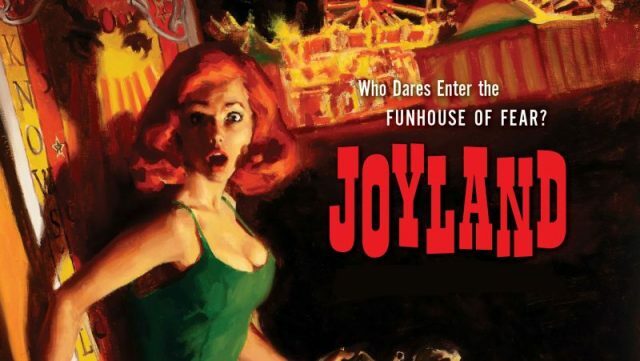 The post Freeform to Develop Series Adaptation of Stephen King’s Joyland appeared first on ComingSoon.net.